After creating the identity & website for this stylish Dorset hotel, restaurant & bar we took over the management of their email marketing communications. To start with we designed an email template that complements the clean, light style of the website. 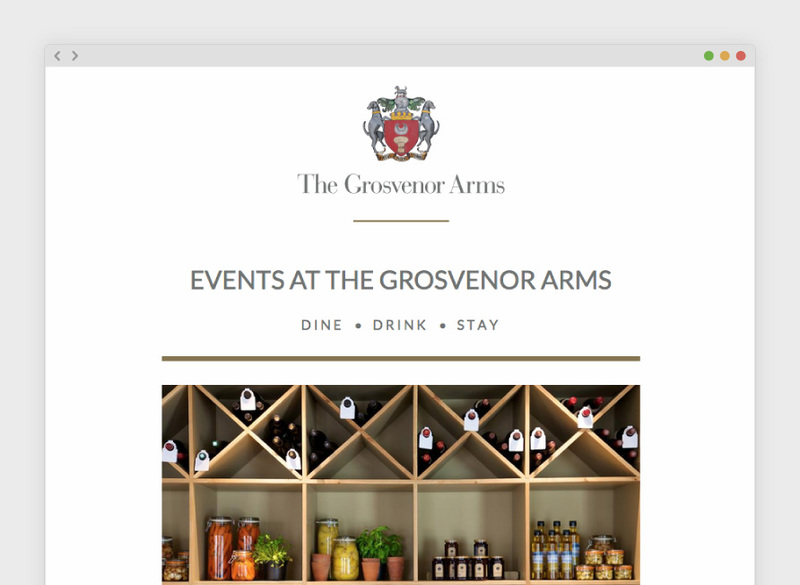 Once uploaded to our online email news system both ourselves & our client can use the template to create & send regular bulletins to their large subscriber database about events at The Grosvenor Arms. Using responsive design & development techniques the emails are built to look as good on mobile devices as they do on desktop PCs. Around 55% of The Grosvenor Arms’ subscribers view their emails on tablet & mobile so it was important to get this right to ensure we improved the open & click through rates of the emails. 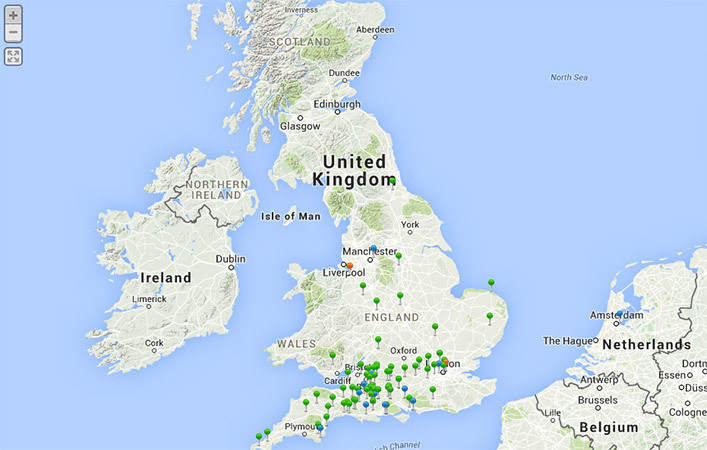 Ourselves & our client can view real time statistics for each email to show open rate, click rate, which links are most popular, where subscribers are opening, who is sharing articles & what devices are being used. This informs decisions on future email campaigns. As well as making a great improvement on The Grosvenor Arms’ email marketing reach, our template design was recently featured on industry leading Campaign Monitor’s inspiration gallery, one of the biggest in the email business.